The European Union (EU) and the state of California (Proposition 65) have banned a number of aromatic amines that have been classified as carcinogenic. These aromatic amines can be liberated when their parent azo dyes undergo cleavage due to a raised pH (e.g. from perspiration). Some of the acid dyes used to color leather have been synthesized using one or more of the banned amines, and may be converted back to the free amines by perspiration. INTERNATIONAL STANDARD ISO/DIS 17234 (IULTCS/IUC 20); Leather — Chemical tests — Determination of certain azo colourants in dyed leathers. 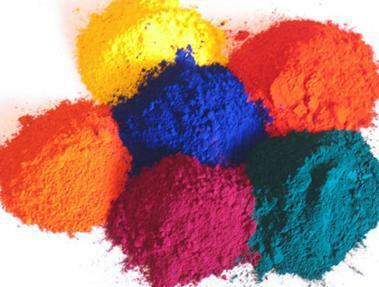 Azo dyes produce bright, high-intensity colors, have fair to good fastness properties, are economical to produce and account for more than half of all commercial dyes used.The carcinogenic aromatic amines used in producing the dyes may be released from a finished textile by perspiration or saliva, causing health risks from skin contact or ingestion. Azo dyes may contain any of more than 20 carcinogenic amines listed under California's Proposition 65 requiring the state to publish a list of chemicals known to cause cancer, birth defects or other reproductive harm. These carcinogens have been banned in China, Japan, India, Vietnam, and the European Union.